Call us at 541-382-7671 to make your appointment today! Serving Bend for 39 YEARS! Dr. Meg Quinn and her team are committed to bringing you and your pets better health by practicing the art and science of Veterinary Medicine. 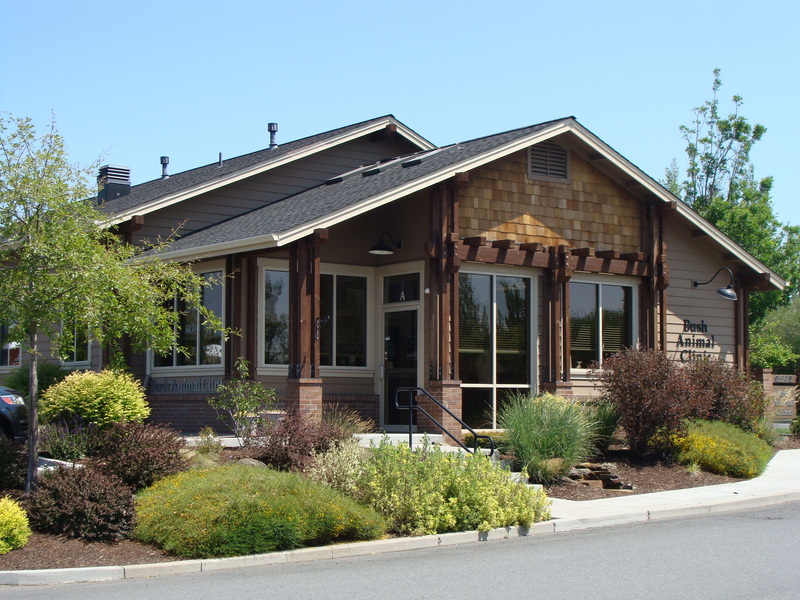 Bend based Bush Animal Clinic was founded in 1979. Since then our staff has been performing Veterinary Medicine and compassionate animal care in the Bend area. Bush Animal Clinic is a full-service Animal Hospital whose mission is to provide the highest standard of quality and compassion in veterinary care for our patients and welcoming, informative, and supportive service for our clients, while maintaining a superior working environment for our employees. Bush Animal Clinic offers the Bend animal community emergency veterinary services in addition to standard medical, surgical, and dental veterinary care. Because we have an in-house pharmacy and laboratory, digital radiology, and intensive care capabilities, our facility enables you to make one stop for your pet's medical care.